Quint Wellington Redwood (Quint for short) is a global, independent consulting firm. Quint supports organizations in designing and implementing their digital strategy. Together with our clients, we build roadmaps that facilitate fast and effective change, anticipating or responding to opportunities and threats. 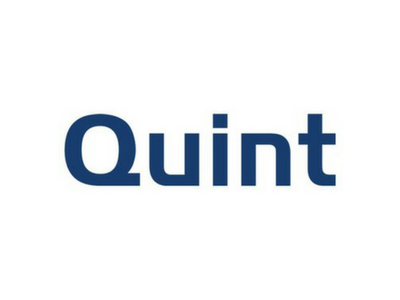 We bring technology – and its application – to life.. Quint itself does not provide IT services. We are in no way affiliated with IT services providers or other market parties. Our independence is your guarantee that we serve only your best interests. Quint is awarded as the World’s Top Outsourcing Advisor for several years as determined by the International Association of Outsourcing Professionals (IAOP®). The global, standard-setting association and advocate for outsourcing professionals with more than 120,000 members and affiliates. Quint is market leader when it comes to independent (out-)sourcing advice in the Netherlands and Spain. In our vision, technology is not the only deciding factor: the knowledge, leadership and culture that are must-haves for organizations to recognize relevant technology and apply it to provide value to their organization and environment are even more important. Quint supports organizations in designing and implementing their digital strategy. Together with our clients, we build roadmaps that facilitate fast and effective change, anticipating or responding to opportunities and threats. We bring technology – and its application – to life. Quint is awarded as the World’s Top Outsourcing Advisor for several years as determined by the International Association of Outsourcing Professionals (IAOP®). The global, standard-setting association and advocate for outsourcing professionals with more than 120,000 members and affiliates. Quint is market leader when it comes to independent (out-)sourcing advice in the Netherlands and Spain. Other: With our 100 consultants in the Netherlands and 300 consultants world-wide we cater to all market verticals.